SpaceX has become synonymous with modern-day space exploration. Since its founding in 2002, Elon Musk’s ambitious vision has grown from a something of a pipe dream into everyone’s favorite rocket company. Bolstered by big ideas and lucrative client contracts, SpaceX has kickstarted the entrepreneurial space age by lowering launch costs and providing transparent pricing to customers. Over the past fifteen years, SpaceX has accomplished a number of notable firsts. On May 31st 2012, SpaceX became the first-ever commercial company to berth with the International Space Station.1 On December 21st, 2015, SpaceX became the first-ever organization to re-land a first-stage rocket engine after orbital launch.2 SpaceX is now poised to accomplish yet another first: If all goes according to plan, next month,3 SpaceX will become the first entity in history (public or private) to successfully launch a flight-tested first-stage rocket to send cargo into orbit. For this monumental launch, SpaceX and their long-term client SES (Société Européenne des Satellites) will be sending an SES satellite into geostationary orbit.4 If successful, SpaceX’s historic SES-10 mission will have extraordinary implications for commercial space and deeper space exploration. Reusable launch has the potential to reduce the cost of getting into orbit by an additional 30%,5 which would further stimulate the entrepreneurial space movement. SpaceX will soon have the opportunity to demonstrate their reusable launch capabilities. Following their first successful orbital landing in December 2015, SpaceX successfully landed five more Falcon 9 first-stage rockets.6 On January 14th of this year, the company returned to flight with their first launch since September. After delivering ten communications satellites into orbit for client Iridium, the first stage of the Falcon 9 landed smoothly on a designated ship in the Pacific Ocean.7 On February 19th, SpaceX launched and landed yet another Falcon 9 first-stage rocket.8 This makes eight total successful re-landings: five at sea, and three on firm ground.9 As of yet, these re-landed rocket boosters have not been put to any practical use—but that’s about to change. SES has always been a forward-thinking space company—in fact, their founding in 1985 is credited with creating Luxembourg’s now-blossoming space industry.12 SES is SpaceX’s largest client by contract volume,13 and has had confidence in SpaceX since the early iterations of the Falcon 9 rocket. Indeed, SES became the first commercial satellite operator to partner with the launch company: On December 3rd 2013, SpaceX launched their SES-8 communication satellite into geostationary orbit aboard a freshly-redesigned Falcon 9, dubbed “version 1.1.”14 This marked the second-ever flight of the larger, more powerful Falcon rocket.15 This was also the first time that the Falcon 9 delivered a payload to supersynchronous transfer orbit,16 thereby proving that SpaceX could be relied upon as a launch partner for the commercial satellite industry. By securing a flight on the first-ever flight-proven rocket, SES has reaffirmed their trust in the SpaceX team’s ability to do incredible things. Reusable rockets have major implications for the future of space travel. If the “flight proven” SES-10 mission is successful, the practical demonstration of reusable first-stage launch components may prove to be a game-changer for the commercial space industry. SpaceX’s much-lauded reusable rockets would mean less-expensive launches for clients, thereby resulting in further decreased barriers to entry, enabling new entrants and stimulating the entrepreneurial ecosystem. For small start-up ventures whose financial success hinges on their access to space, the cost savings offered by reusable rockets would be all the more meaningful. 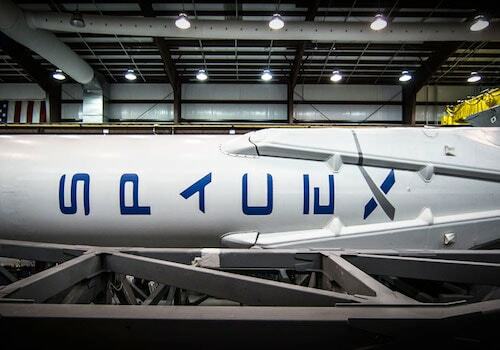 Hopes for commercial space are riding high on SpaceX’s ability to reuse their Falcon 9 rocket. SpaceX has positioned itself as the world’s premier private space exploration company through a series of high-tech innovations, enthusiastic clients, and dogged persistence. As the entrepreneurial space industry embarks upon an era of exponential growth, many look to SpaceX as an indicator of private space’s potential. After all, SpaceX has achieved historic successes in a comparatively short time frame—they are a prime example of what’s possible through industry partnerships and concerted effort. Next month, SpaceX’s flight-proven rocket will be put to the test. Reusable rockets promise more frequent and less expensive launches for commercial clients. By lowering the barrier to enter space, reusable rockets would make it possible for new players to get their technologies into space. In a world where private companies handle the quotidian aspects of orbital launches, government space agencies would be free to focus their energies—and budgets—on deep-space exploration and colonization. Inevitably, this will present early stage space investors with a plethora of options to consider when looking for ways to help drive humanity’s space-adventure storyline forward. SpaceX. Mission Summary: Dragon Becomes First Private Spacecraft To Visit The Space Station. SpaceX.com. Space Exploration Technologies Corporation, 1 June 2012. Web. 15 Feb. 2017. Wall, Mike. "Wow! SpaceX Lands Orbital Rocket Successfully in Historic First." Space.com. Space.com, 21 Dec. 2015. Web. 09 Feb. 2017. Richardson, Derek. "First SpaceX Falcon 9 to be re-flown tested at McGregor." SpaceFlight Insider. SpaceFlight Insider, 06 Feb. 2017. Web. 09 Feb. 2017. Berger, Eric. 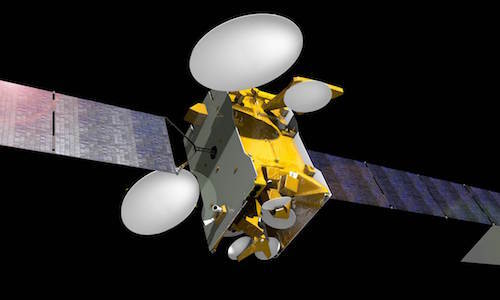 "SpaceX finds a customer for its first reused rocket, satellite operator SES." Ars Technica. WIRED Media Group, 30 Aug. 2016. Web. 15 Feb. 2017. De Selding, Peter B. 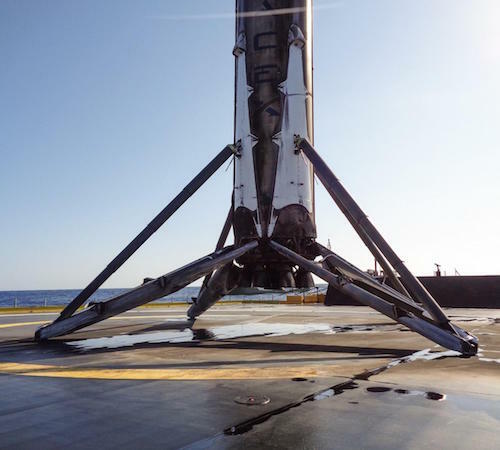 "SpaceX says reusable stage could cut prices 30 percent, plans November Falcon Heavy debut." SpaceNews.com. SpaceNews, 11 Mar. 2016. Web. 16 Feb. 2017. Grush, Loren. 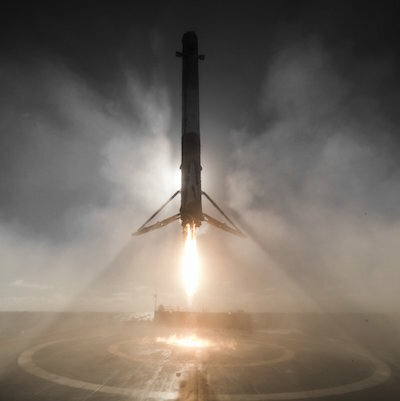 "SpaceX lands its Falcon 9 rocket at sea, following first launch since August." The Verge. The Verge, 14 Jan. 2017. Web. 09 Feb. 2017. Wall, Mike, and Calla Cofield. "SpaceX Returns to Flight with 10-Satellite Launch, Rocket Landing." Space.com. Purch Group, Inc. , 14 Jan. 2017. Web. 09 Feb. 2017. "SpaceX Successfully Launches Rocket after Saturday Setback." BBC News. BBC, 19 Feb. 2017. Web. 19 Feb. 2017. Calandrelli, Emily. "It’s official, SES will be first company to launch on a used SpaceX rocket." TechCrunch. AOL Inc., 30 Aug. 2016. Web. 09 Feb. 2017. Mackenzie, Robert. "Visit scenic Luxembourg and mine a few asteroids." The Verge. The Verge, 13 June 2016. Web. 15 Feb. 2017. De Selding, Peter B. "SpaceX's reusable Falcon 9: What are the real cost savings for customers?" SpaceNews.com. SpaceNews, 25 Apr. 2016. Web. 09 Feb. 2017. Malik, Tariq. "SpaceX Launches Falcon 9 Rocket On High-Stakes Commercial Satellite Mission." Space.com. Purch Group, Inc. , 3 Dec. 2013. Web. 15 Feb. 2017. Svitak, Amy, and Amy Butler. "Musk: Falcon 9 Will Capture Market Share." Aviation Week. Penton, 24 Nov. 2013. Web. 15 Feb. 2017. Grush, Loren. "SpaceX's reusable rockets will make space cheaper - but how much?" The Verge. The Verge, 24 Dec. 2015. Web. 09 Feb. 2017.